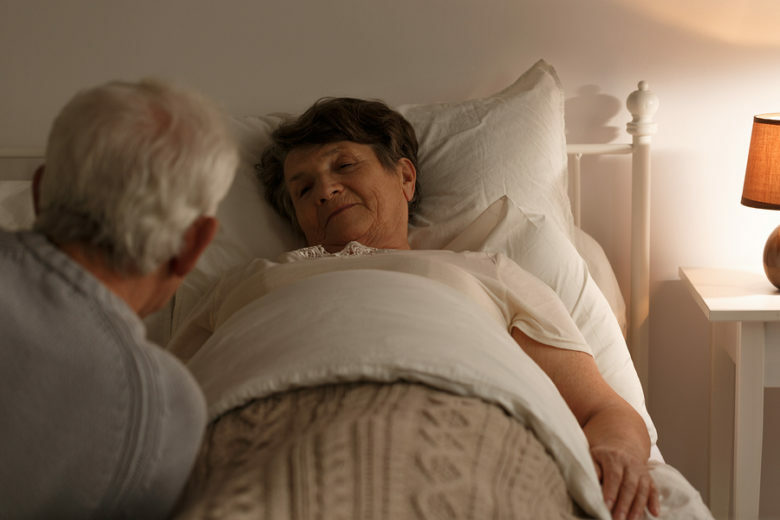 Hospice Care in Dunwoody GA: What Is Your Senior Likely to Experience Near Her Passing? Near the end of your senior’s life, so much feels as if it’s changing, probably too fast. If you can slow down and notice some of the signs, though, you might be able to recognize that your family member is nearing the end. As your senior gets nearer to death, she’s going to start withdrawing more and more. At first, she might not be engaging in activities that she used to enjoy. Eventually, that’s going to expand to not responding as much to you or to other family members when you talk to her. Part of the withdrawal process involves the fact that your senior is likely to be more and more tired. Her body is burning a lot of energy just trying to keep going. It’s really difficult for her to stay awake when she’s experiencing greater and greater difficulty managing her energy at all. Even with the extreme sleepiness, you’re likely to notice that your senior’s body seems to be more restless than it has been. She may even show signs of agitation if she’s not able to move in ways she wants to move. One way that you can help with this is to help your senior to shift positions more often. You’re going to notice that your elderly family member is drinking and eating less than she has. Part of this has to do with the fact that she’s sleeping more often and therefore not awake enough to eat or drink. But a larger portion of this has to do with the fact that she’s not as physically active as she was. Even though she’s burning a lot of energy interacting with you and with others, that energy doesn’t come from food that she’s ingesting. You may also notice that your elderly family member’s breathing patterns start to change. She may start to experience shallower breathing and you might notice that her breathing sometimes seems to stop or pause for longer than usual. She may start to mention talking to relatives or others who have passed away before her, too. Take advantage of the break that hospice care providers can offer to you as your senior’s caregiver. Being there for your elderly family member at this time is incredibly challenging and you’ll need to be able to process your emotions away from her so that you can make the most of the time you have left with her. If you or a loved-one are considering hospice care in Dunwoody, GA, please call the caring staff at Arcturus Hospice and Palliative Care today. Call 678-383-9973 today to speak to our care team.